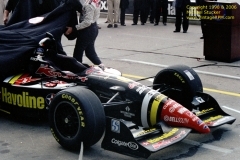 On the first weekend in October 1998, big-time road racing came to the streets of downtown Houston for the first time with the running of the inaugural Texaco Grand Prix of Houston. 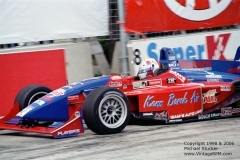 Three series took part in the Grand Prix – the Toyota Atlantics, SCCA Trans-Am, and CART FedEx Championship Series. This was my first time at a race as a journalist. 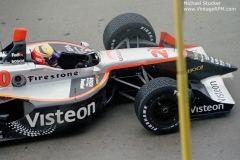 My job was to file reports for Motorsport News International (now Motorsport.com). Although not there as a photographer, I did manage to acquire a photo pass for all but Sunday’s CART Championship race. 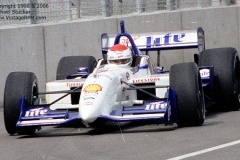 Those photos were taken from the George R. Brown Convention Center, which served as pits, paddock, press center, and race control..